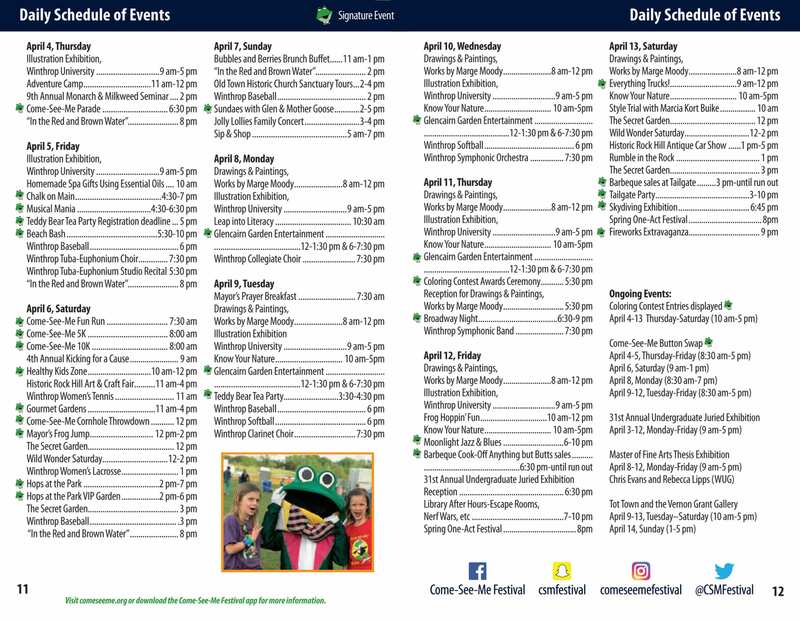 If January’s wintry weather has you dreaming of spring, we have the answer: Start making plans for this year’s Come-See-Me Festival Parade on Thursday, April 12, 2018! Registration is now open for businesses, individuals, and non-profit groups. The theme for the 2018 parade is “Turn Back Time” and we want you to pull out all the stops as you relive the glory days of the 80s! 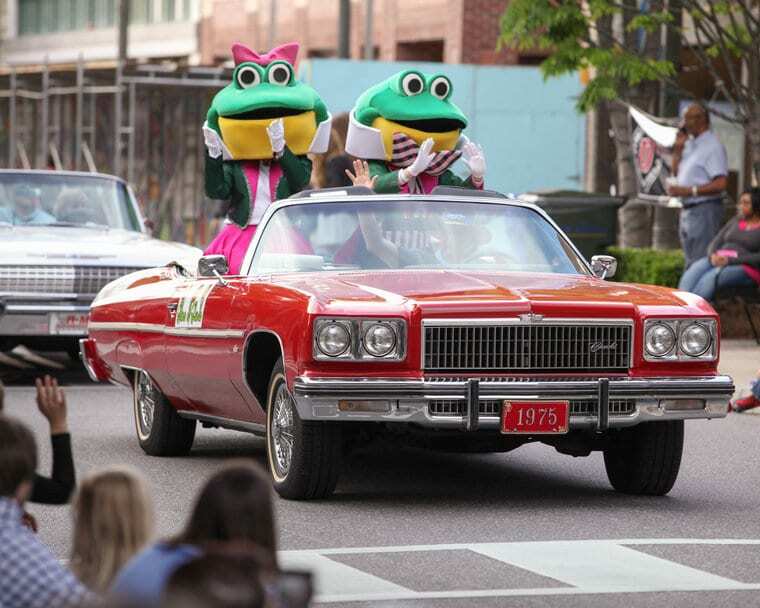 Entries may be comprised of floats, cars, trucks, vans, motorcycles, golf carts, and/or walkers. Please review the unit descriptions on the registration page carefully before submitting your entry. A detailed description of your entry is required as part of the application. Once your application has been submitted, it will be reviewed by the festival’s parade committee. Selected participants will be notified and are required to attend a mandatory parade meeting on Monday, April 9, 2018 at 6:30 p.m. at the Glencairn Garden Learning Center on Edgemont Avenue in Rock Hill. Please note that since a limited number of entries are allowed in the parade, early applications are encouraged. To be considered, fill out our online registration form and submit your registration fee. (The fee will be refunded to any entries that are not accepted.) Applications are due by Friday, March 30, 2018. Applicants will be notified of acceptance by Wednesday, April 4. We look forward to reviewing your entries and to having the time of our lives at the Come-See-Me Festival Parade on Thursday, April 12!